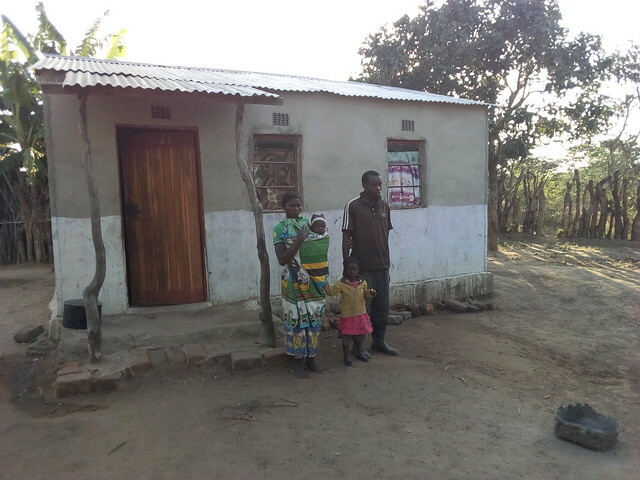 Aaron and Mavis Mumba with their two children in front of the house. Photo credit: Simon Mudenda/CIP. 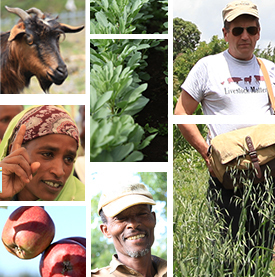 A graphic of how the Mumbas make it work (credit: Jonathan Odhong’/IITA). 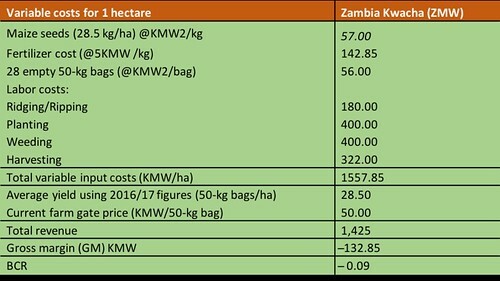 Comparing the maize and OFSP enterprises, a profitability analysis revealed a higher gross margin for sweet potato (ZMW 33,633.80) than for maize (ZMW ̶132.85) on a per ha basis. 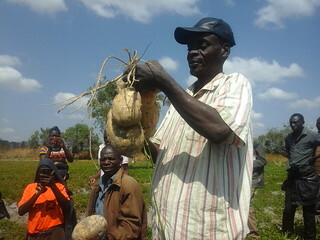 This indicates a BCR (Benefits Cost Ratio) of 2.34 for OFSP and ̶0.09 for maize. 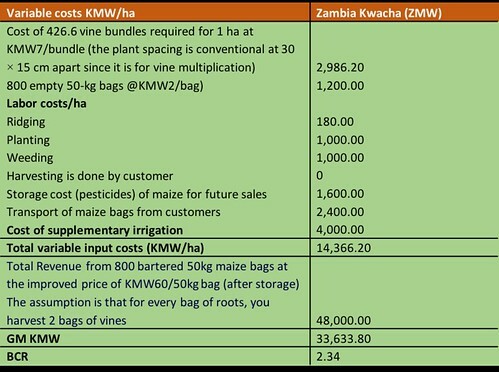 Therefore, for every ZMW 1 the Mumbas spend on growing OFSP they gain a benefit of ZMW 2.34 more, unlike their comparative loss of ZMW ̶0.09 realized from growing maize. 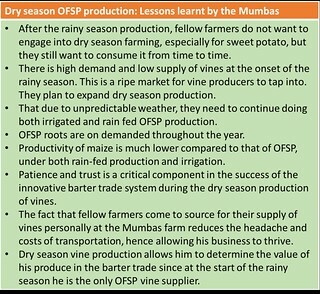 Tags: OFSP, Orange Fleshed Sweet Potato, Scaling. Bookmark the permalink.